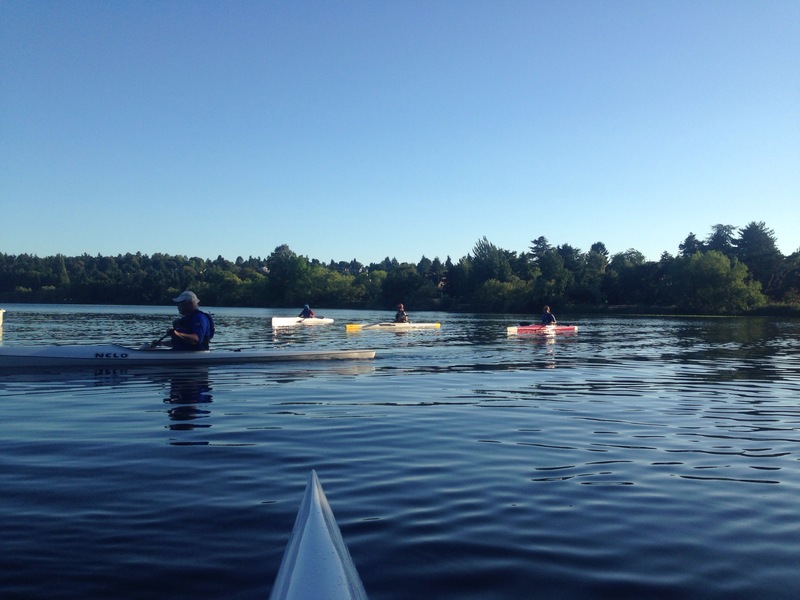 There is a sprint paddle class offered through through the Seattle Canoe and Kayak Club at Green Lake Small Craft Center. 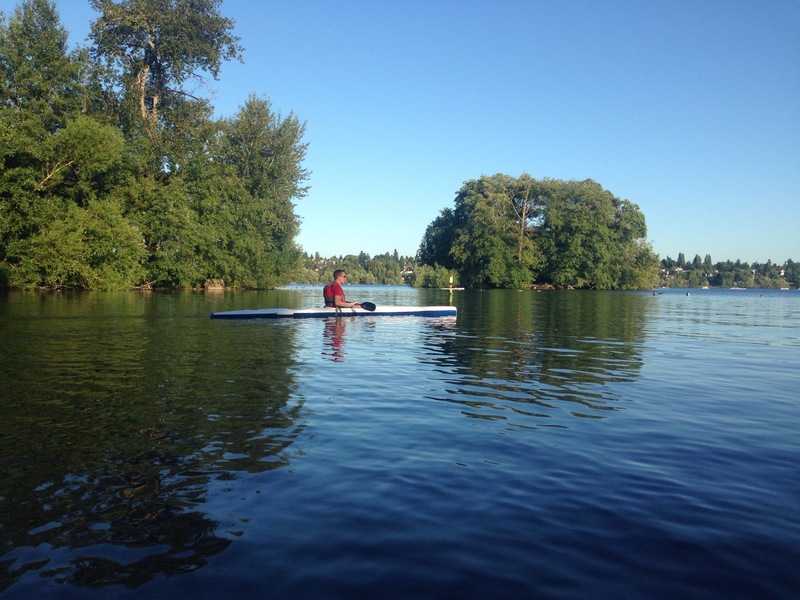 It’s two weekday evenings a week for 10 weeks, $100 for non members and free for members. First we learned about the boats we were taking out (really skinny, tippy, fast kayaks). 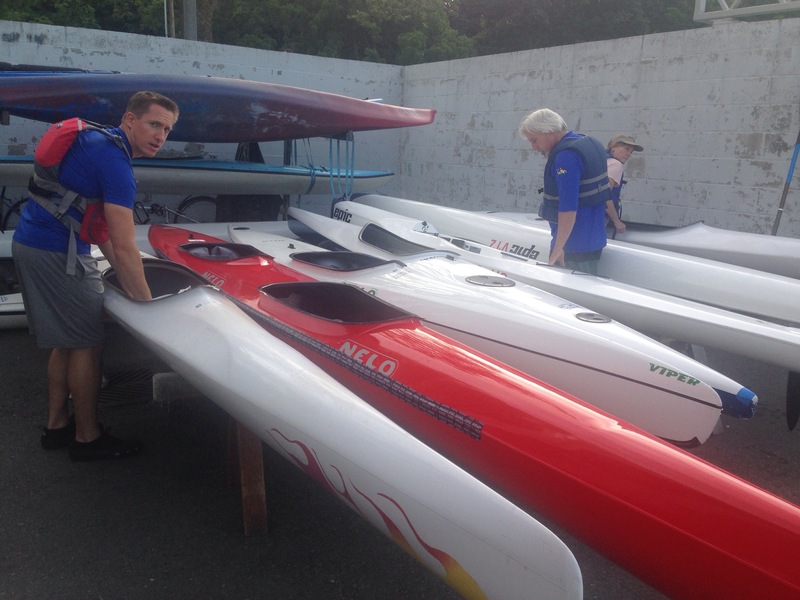 Alex and I took training kayaks and some members retaking the class took out the actual racing boats. 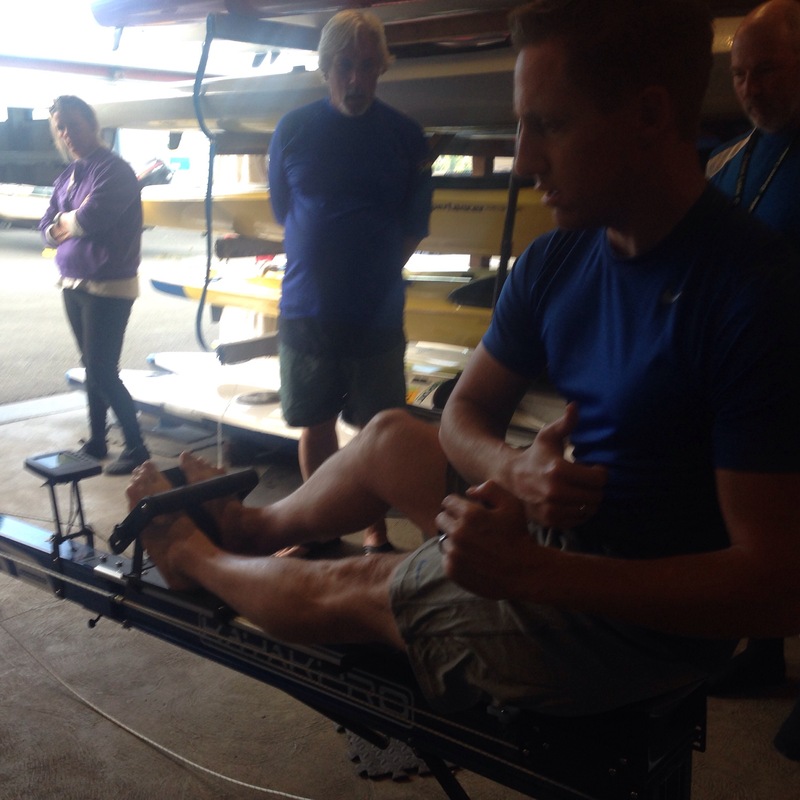 But first we had to learn the stroke on a kayak ergometer (pictured below). Since it’s all about speed you really push through your feet and straighten your knee, kicking your hip sideways, powering your stroke. 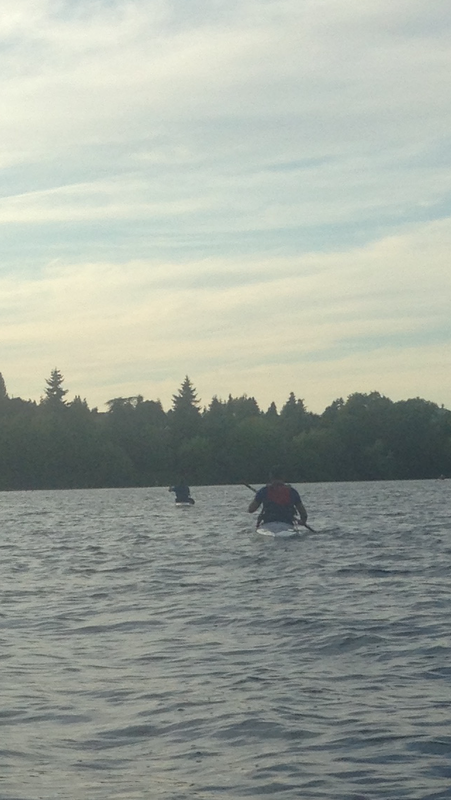 Which is a lot usually to do on a machine vs a tippy kayak. 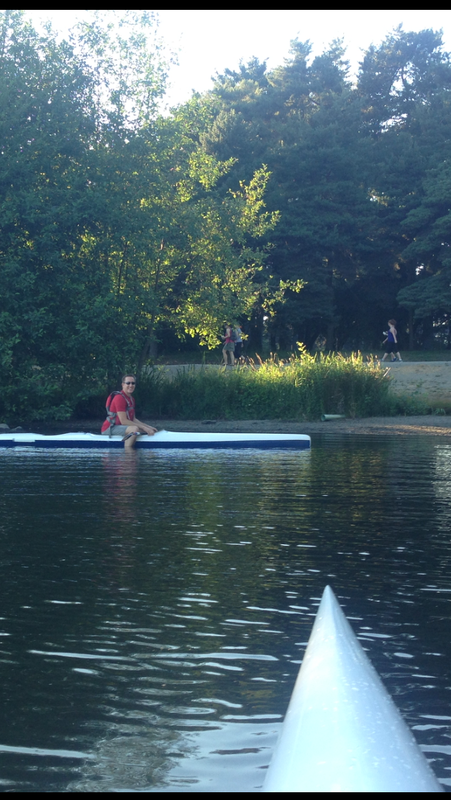 Then we adjusted our boats and took them out on the water. You can se the seat is built for sliding your hips on, not for comfort. The foot plate is where you strap your feet in tight for more power and control the rudder! That small stick on the left is what you slide across the slot in the board to turn, because all you paddling should be going into your forward stroke. I was shaking my first five minutes out there, even knowing I could safely fall in, because of how unstable I felt. 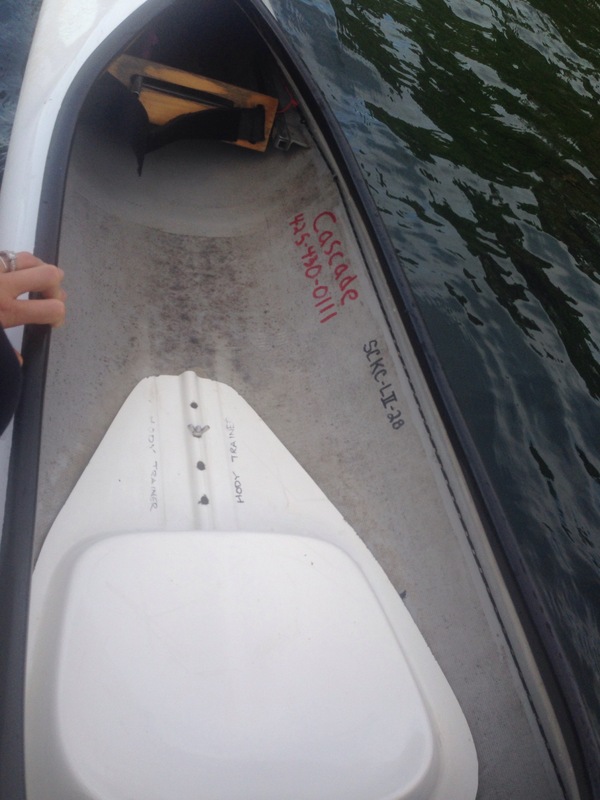 You can’t re-enter this type of kayak from the water so we stayed close to shore. The second class that week the main instructor wasn’t there and we were un-herded cats. We ended up going across to the other side of the lake, which isn’t recommended for beginners. We were fine except Alex’s leg went completely numb (possibly from tight hip flexors) so he had to briefly get out on the other shore. By the boat house was really rocky, from the winds, but the north side of the lake was wonderfully calm. 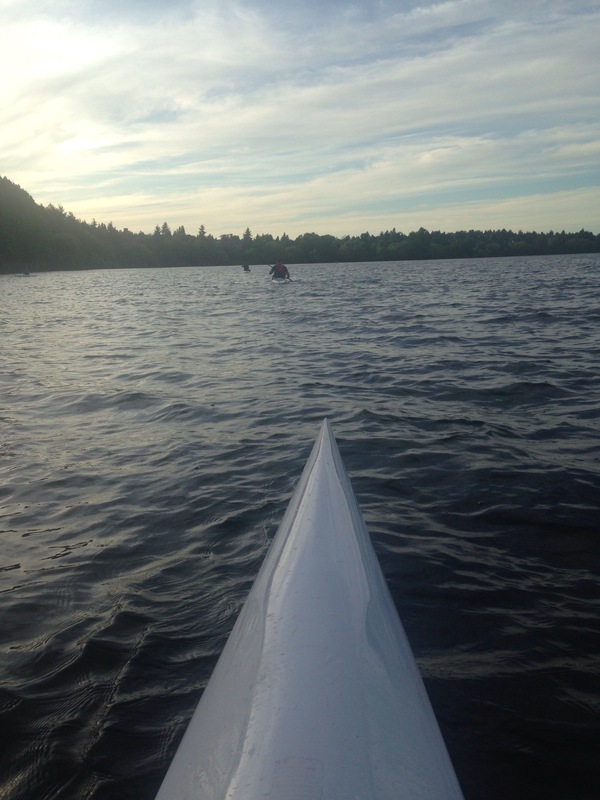 During the third class the following week the main instructor was back so we all got together and learned the sculling draw (to work on stability and core and to be able to stay in line during a race line up) and the starting position / forward stroke. We raced back and I came in second (I’m probably the only one who noticed…it was very relaxed), only because I got held up by kids. 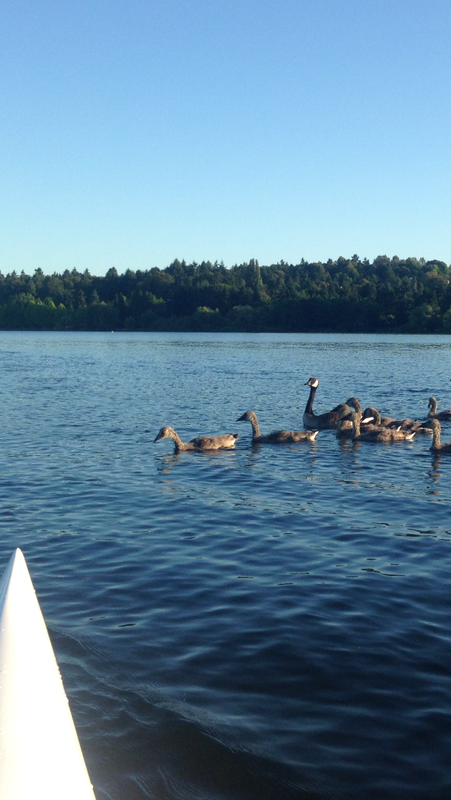 First by the fluffy teenagers pictured below, then by a couple kids in little inflatable kayaks. Both groups of kids were cute enough I didn’t mind being cut off.